The Emberaxe tribe is at war now with Garosh Hellscream. Zulfi’fon is holding down the fort at home because she’ll be patching up the returning warriors. 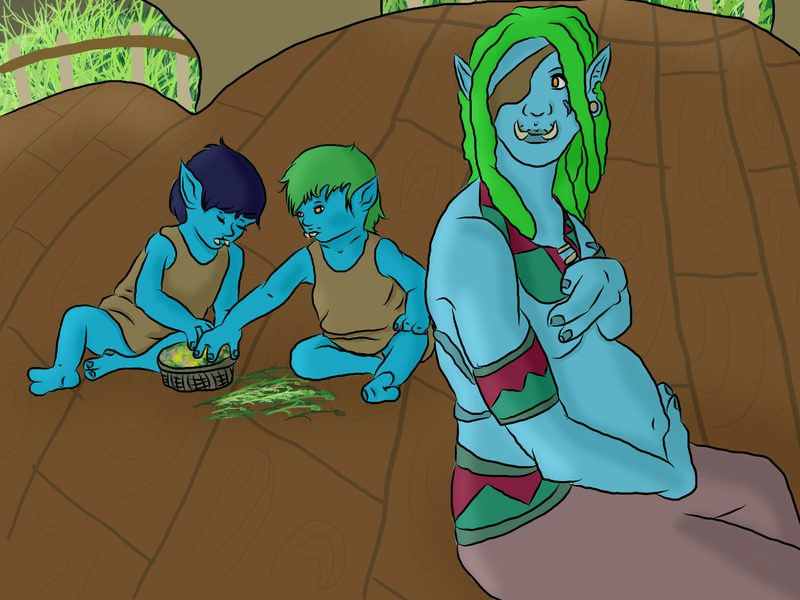 Sim’jin’s twin sons from before help Zulfi process herbs for tonics unaware of the danger their father is in, or the worry their adoptive mother feels.